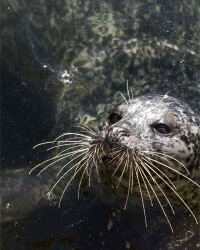 ST Andrews Aquarium resident seal, Laurel, celebrates her 20th birthday this month on 20th June and will be celebrating in style this year with a new saltwater seal pool. Laurel, who has been with St Andrews Aquarium since she was a pup, is one of the main attractions for visitors to the centre. Originally part of a duo, Laurel has adjusted to the single girl’s lifestyle and has been warmly awaiting the completion of her extension which will give her one of the biggest seal pools in the whole of the UK. John Mace, manager of St Andrews Aquarium commented: “We’re delighted that we are able to continue to develop our seal enclosure, giving Laurel even more space to roam and play. The new extended pool represents a further five figure investment in the Aquarium’s facilities which are situated on the cliffs of St Andrews North Shore Sands and are part of a rolling programme of improvements that began in 2010. MEDIA RELEASE posted by Volpa. You too can post media releases (aka press releases) on allmediascotland. For more information, email here.